“My son took his life on [December 2013]. He was a Persian Gulf Veteran and served in a Marine combat unit as a Navy Corpsman. Can Veterans surviving spouses file “a new” claim for potential compensation due to Gulf War Syndrome or other Presumptive Conditions? It appears my husband was diagnosed with terminal brain cancer. I kept the questioners name confidential, for what I hope are obvious reasons. 2 Benefits that Might be Available to Surviving Spouses of Veterans. But these are the “Big 2” that the VA – and many VSOs – will tell you are not available to you if you are a surviving spouse of a veteran, particularly if the veteran has committed suicide. The first benefit that my Firm always considers is “Accrued Benefits”. If the Veteran had a claim pending at the time of his/her suicide, then the surviving spouses of veterans may be able to substitute into the veteran’s pending claim and recover monies that should have been paid for benefits to the Veteran while the veteran was living. There are deadlines in this kind of case – the surviving spouses of veterans must either substitute into the veteran’s open and pending claim OR file an accrued benefits claim within one (1) year of the Veterans death. If your surviving spouse passed away before substitution was available (October 10, 2008), the only option you have is to file an accrued benefits claim on VA Form 21-534 within one (1) year of the veteran’s death. Read more about Accrued Benefits claims here. The plight of surviving spouses of veterans is one that is near and dear to my heart. My grandmother was the surviving spouse of a World War II Veteran. My grandfather fought at the Battle of the Bulge, and he died after returning home from combat from a condition that most of us today would recognize as Post Traumatic Stress Disorder. Please, please, please – if you count yourself among the millions of surviving spouses of veterans, do not try to “go it alone” in your appeals of denied survivor benefit claims. (This counts double if your spouse was among the 2 dozen veterans who commit suicide every day). 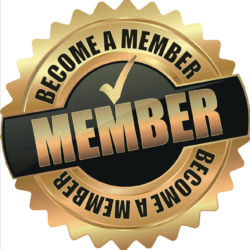 Find an attorney – I don’t care if it is my firm or another accredited VA attorney. You think the VA screws Veterans? What they do to surviving spouses of veterans makes the regular Claims Backlog look like a well-oiled machine. Watch the story of this courageous spouse made the Nightly News in Dallas November 2013. VA DIC Benefits (Dependency and Indemnity Compensation). 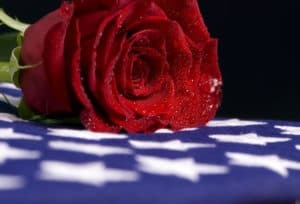 This benefit – often referred to as “service-connection of the cause of death” – provides a monthly payment to the surviving spouses of veterans if the veteran’s service-connected condition (or conditions that SHOULD have been service connected while the Veteran was living) were a contributing factor to the veteran’s death. That contributing factor does not need to be the SOLE cause of death, or even the primary cause of death. It just needs to contribute. And, if that condition affects a “vital organ,” like a heart or lung or the brain, the VA must meet a heightened standard in making the determination as to whether a veterans surviving spouse is entitled to DIC. See, 38 C.F.R. §3.312(c)(3). Surviving Spouses of Veterans that commit suicide HAVE to know this fact: the VA will fight “tooth-and-nail” to deny that a Veteran’s service connected conditions (or ones that SHOULD have been) were contributing factors to a Veteran’s suicide. Why not? Because someone would have a LOT of explaining to do. Read my series of posts explaining the Basics of Dependency and Indemnity Compensation (DIC). If you want to get an attorney to professionally advocate on a claim for survivors benefits due to a Veteran’s Suicide, please take a look at my eBook: “8 Things a Veteran Should Know Before Hiring an Attorney”. I would like to get some advice. My father was in WWII and the Korean War. He commited suicide in 1967. There was no diagnosis of PTSD back then as we know now. My mother is now 85 yrs old and requires 24 hour care due to Alzheimer’s. What can we do to get back pay or assistance from the VA for her. Just so you know, I don’t give legal advice on the Blog…I focus my writing on how the process works and what the law means, but I can’t advise individuals on their claims. 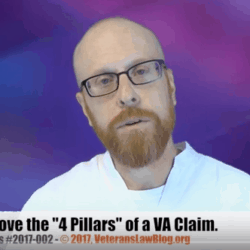 Having said that, I really feel strongly that you are going to need to contact an accredited VA Attorney for help on that one…the VA did not recognize PTSD as a medical condition until the later part of the 20th century…. …my own grandfather died of the symptoms of his PTSD after he fought at the Battle of the Bulge in WW2, and the VA left my grandmother high and dry….that was before I was even an attorney. 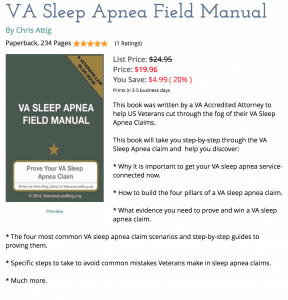 You are welcome to contact my firm for a consultation – we do a lot of survivors’ claims like this – but you should also talk to other accredited VA attorneys, as the Attig Law Firm is not the only VA Disability law firm out there…you have a CHOICE!! 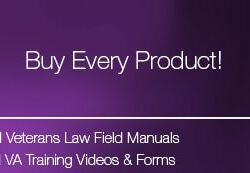 Check out my free ebook: “8 Things You Should Know Before Hiring a VA Attorney” to help you in your search for an attorney.